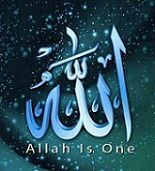 After knowing all the ill effects of smoking, if anyone still persists, that person must be having a death wish for themselves and for those around them. Don't forget, passive smoking is almost just as harmful. For that reason, nowadays 14% of lung cancers are happening to people who have never smoked. There are 3 reasons for it cited by experts: Genetics, exposure to asbestos and exposure to the cigarette smoke of others. Needless to say, the third reason - exposure to the cigarette smoke of others - plays the most important role. Children living with parents who smoke are expected to have shorter lives compared to those whose parents don't smoke. That's how much second-hand smoking harms them. Pets in the homes of smokers have a 50% higher chance of dying of cancer. Smoke which is full of carcinogens, when exhaled by smokers, settles down on the coats of cats, dogs and rabbits. When they lick their coat they consume those carcinogens in their system. Isn't all this tragic? A visual to warn smokers. 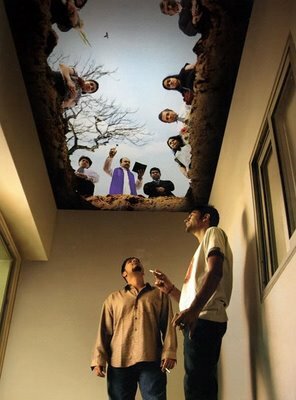 Ceiling of a smokers' room is designed and painted to resemble a grave. It gives the impression to smokers that they are inside a grave and when they look up at the ceiling of this smokers' room, they see the image of a burial with family and friends saying goodbye and getting ready to cover the shroud with mud. Better late than never. Give up those Marlboros and Dunhills and Camels before you are sorry, much too sorry, for being addicted to those pricey packs of crap! GET SMART. QUIT SMOKING BEFORE SMOKING COMPELS YOU TO QUIT THIS WORLD. The biggest problem with smokers is that the more you try to warn them (for their own benefit), more stubborn they get. If they don't care for themselves, well, then let them kill themselves. But the fearful thing is that they also kill those around them and contaminate the environment. For that reason lung cancer among non-smokers is also on the rise. And exposure to second-hand smoke is rising with the increase of population. If one goes out shopping or for a walk, one comes home inhaling the smoke of a dozen smokers who line up and smoke along the side-walks. Really unfair and worrisome. Warnings on cigarette packs aren't helping at all. The production of cigarettes should stop. But because governments are hand-in-glove with the business community, they will never eradicate cigarette from society. "A cigarette is a roll of paper with fire on one end and a fool on the other!"